Happy Friday! 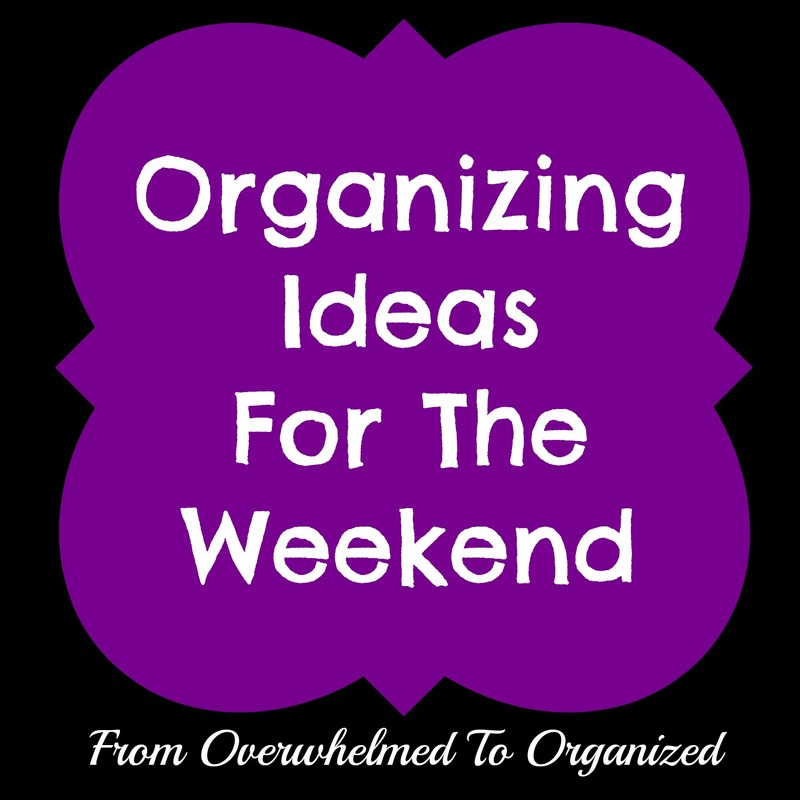 Ready for another organizing idea for your weekend? 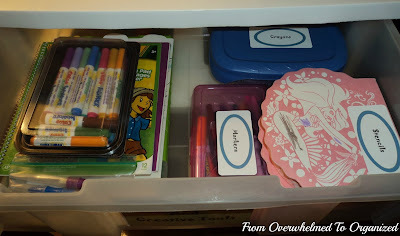 Today I'm going to share some ideas and tips to keep all these school supplies organized. 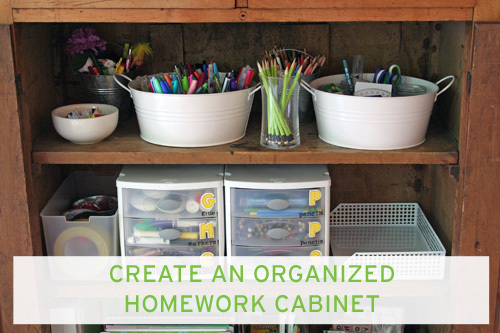 Then you can choose which idea will work best for you or come up with your own system, and organize your family's school gear this weekend! Here's a refresher of our system for school stuff! 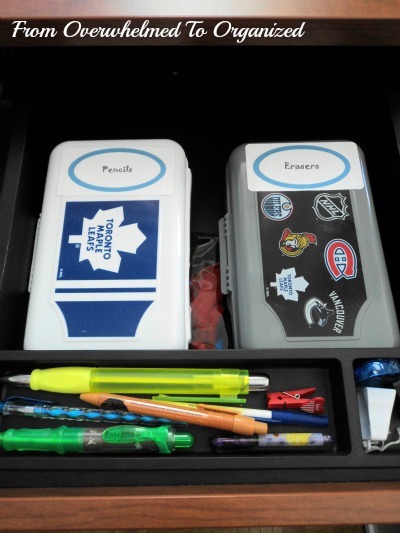 My kids' backpacks and lunch bags are stored in these plastic bins, as part of our command centre. If they bring home newsletters or notices that I need to keep for awhile, they go in the "School" folder in the wall file holders. And when they bring home completed work or artwork that they want to keep, we put it their school file bins. All of this really helps reduce the piles of paper everywhere! This command centre is on our kitchen wall, so it's easy to pack their lunch bags in the morning and empty them out after school. 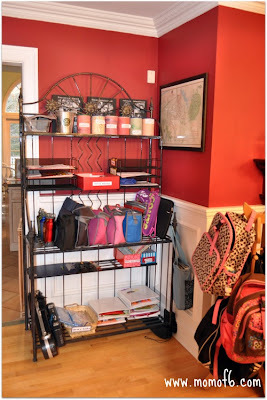 And it's right near the front hallway, so in the morning the kids can grab their backpacks and lunch bags on their way out the door. 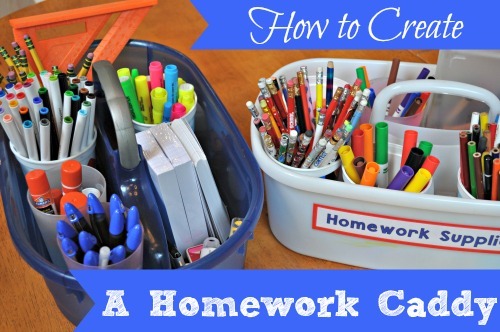 When they need supplies for homework, they get them from the desk in our dining room. We have a drawer with their pencils and erasers in plastic pencil boxes from the dollar store. Sometimes they may need pencil crayons or markers for homework and those are kept in one of the activity drawers, which are also in our dining room (there's a container of pencil crayons underneath that stencils box). And if they need to sharpen any pencils or pencil crayons, there's an electric pencil sharpener on the desk in the dining room. My son and daughter usually work at the kitchen table or at the desk in the dining room, so everything they need is nearby. And if we run out of any school supplies, there are some extras in the basement desk. Create a designated homework station or cupboard near the place where your kids usually do their homework. 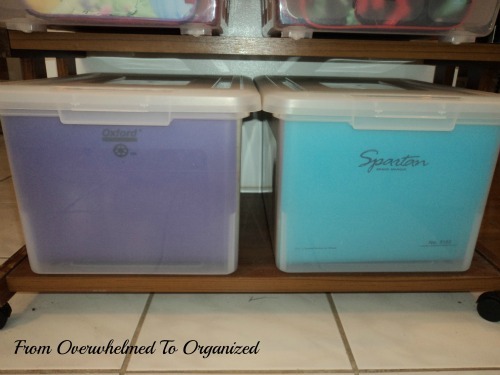 Here are 2 examples (click the links below the pictures to see how they created these organized school supply storage systems and tons more pictures). 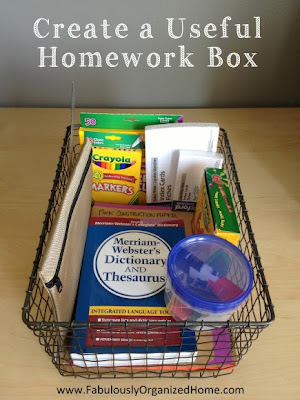 If you can't have a school supply cupboard, or if your kids work in various locations in your home, or if they work at the kitchen table and you need to move their supplies out of the way for dinner, then create a portable homework caddy or box like these! Establish a designated place for backpacks and lunch bags so they aren't left at the front door or in the hallway or on the kitchen table. 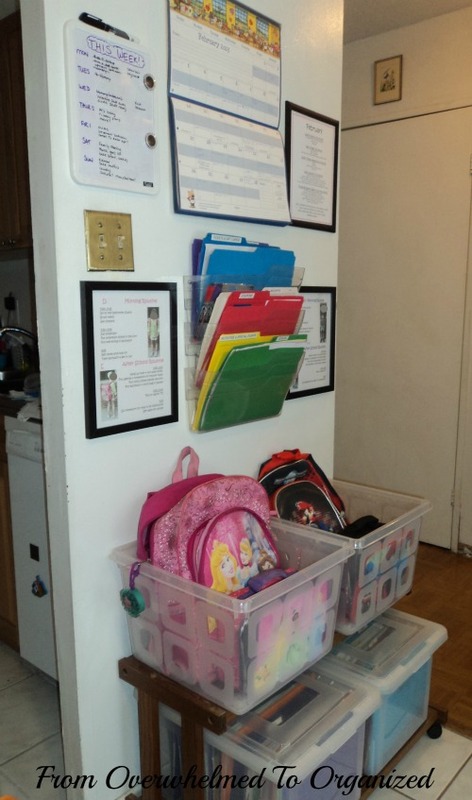 Similar to a place to store backpacks and lunch bags, it's good to have a family launch pad, where each member of the family has a place to keep everything they will need when they leave the house (it helps eliminate a lot of last-minute searching for items or forgetting things!). Aren't those great ideas? Every family and home is unique so don't feel you have to duplicate any of these ideas exactly. Just use the principles in these posts to make things run smoother for your family before and after school! 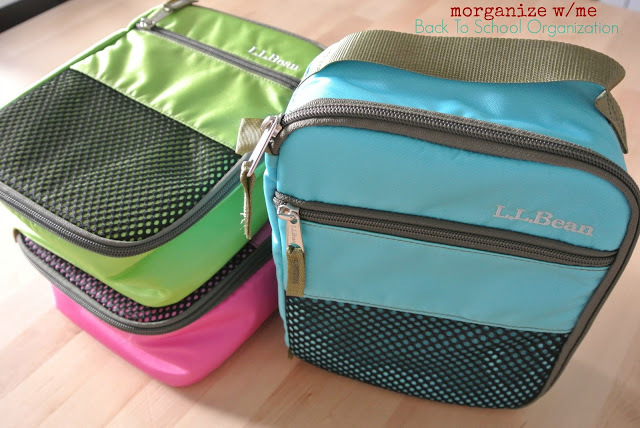 Note: I'll do a separate post sometime about organizing for school lunches.... there are so many great ideas out there that they deserve their own post! 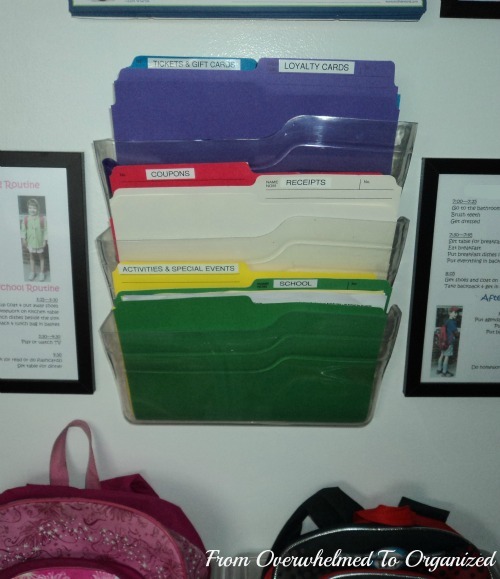 If you'd like any more ideas on how to organize your kids' school gear and supplies, you can check out my Organized For School board on Pinterest! 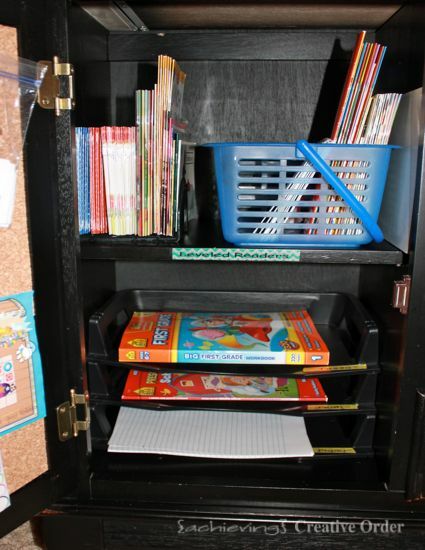 This weekend, spend some time organizing your kids' school supplies! You'll be so glad you did! What part of before and after school do you find most challenging? 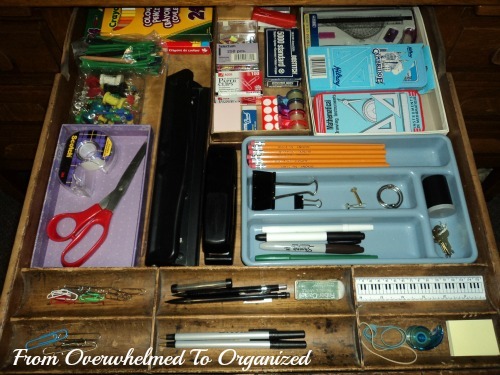 How do you organize your kids' school "stuff"? 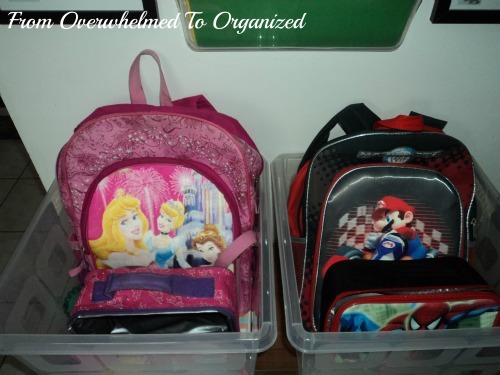 What tips can you share to help others organize their school supplies and gear? 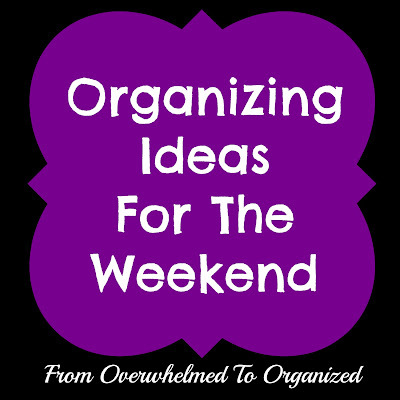 Happy organizing and have a great weekend! We've organized a new homework station this year, and it makes such a huge difference to our after-school time. Everything just runs more smoothly! I almost used your homework station as an example Laura! I love what you did and I'm sure it makes a big difference for your family. I pinned it so others can check it out! 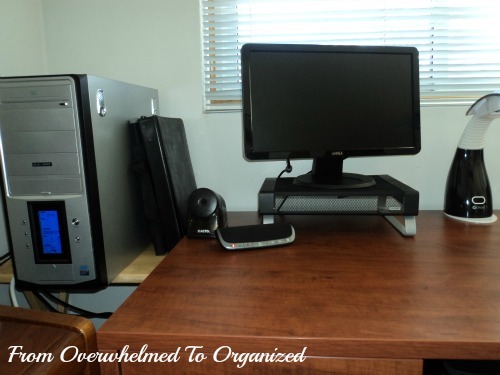 31 Days of Easy Decluttering!